the canDIshhh tales: Love, love love love love... Love..
Love, love love love, love... Love.. Yes, it makes the world go 'round. It moves mountains, it sees in the dark (since love is blind), its not selfish, it a great feeling! And we all have LOVE inside of us..
Last weekend, there was nothing interesting on TV so while I was channel surfing - I caught an episode of the latest season of Ghost Whisperer. Honestly, I was never into these types of shows - I am a self-confessed 'chicken' when it comes to these things. But the episode I saw, well - it intrigues me so much! Thus - I bought the DVD of the latest season. True enough, the show is quite interesting - I always had the impression that the show was 'freaky' but when I saw that Jamie Kennedy was around, well - it won't be as serious as I thought! Hahaha. He sure is the comic relief! I am excited to see the future epis of this series!! hi candice! this is a nice series. kinda scary at times. but i don't actually watch it regularly. i don't live for too much drama. =p anyway, if you like this you might also like SUPERNATURAL. It's similar to this but it has more action plus the main actors are funny. (with their sarcasms) you should try watching one of their episodes. i recommend it! if you do like it let me know.. btw i have account in here or plurk. so "kung sisipagin ka" hehe my ym is byncs82 just leave me a message. 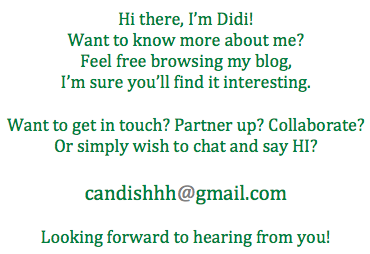 Hi, Didi. First time ko mapadaan dito :) i took a break from teaching, and I'm sitting on my behind most of the day heehee... Anyway, yung sasabihin ko... Alam mo, they say na the closest to you, sometimes you don't feel them. My younger sister senses, and she's freakishly accurate :0 but my dad, she didn't see it coming and even after couldn't feel him the way she senses the others. Siguro pag napanood ko yung episode na yan, kakaiba ang iyak ko :o I've just seen a couple of episodes pero sa sobrang duwag ko, hindi ko matuloy :o anyway, love reading your thoughts. I'll come back sometime. Take care Didi! Hi rie! Add me up! Same handle as my blogger nic! :) Thanks for dropping by!! Lyzeeeeeeeel!! How are you na!! Ako actually super duwag when watching the show, pero I got intrigued and watched eventually. I was crying sooooo much while watching that particular epi - feel na feel ko grabe!! But you're right - I think ganon nga, but sabi sa epi is na oovershadow ng grief yung 'senses' natin. Baka your sister is the same! And maybe Daddy doesn't want to cause grief. Come back soon!!! TC rin Lizelle!! Mwaaaaaaaaaaaaah!! !